I have moved my blog to my own domain at kaliedanielle.com so all future posts and updates will be located on that website! I’ve never tried any homemade face products before–mostly because I was afraid it would irritate my skin. 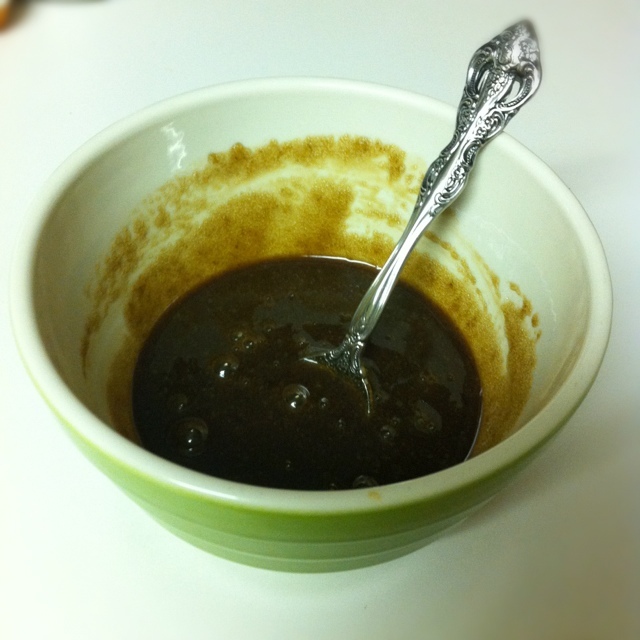 Tonight I tried making a brown sugar scrub, and I must say I was impressed! My skin is at it’s peak winter dryness right now, and the scrub was the perfect amount of exfoliation and moisture. I have a nice exfoliating scrub that I got from a facialist when I got a facial before my wedding, but I feel like this easy brown sugar scrub was way better. The brown sugar is very concentrated and feels like it’s really exfoliating your skin without having to scrub hard and irritating your face. With my old scrub and most store bought ones, it feels like there aren’t enough of those tiny little beads to get the job done. It might not look pretty, but it makes your skin super soft! If it feels too stiff while mixing, add a little more milk to thin it out. It’s pretty easy to eyeball it to get the thickness you want. If your skin is really sensitive, you can try heating it up in the microwave to melt some of the sugar so it’s a creamier mix. Leave on for 15-20 minutes or however much time you have. Just as a warning though, this can result in a fairly messy situation so I would recommend wearing a shirt you don’t care about and putting a towel around your neck for any drips because the mask doesn’t dry. It’s easiest to just take a bit and apply it with your fingers so it goes on evenly and then you can scrub it on gently. Say hello to soft skin! First off, I saw this Dr. Seuss quote today and it pretty much sums up my entire relationship with Drew. Now, on to something else I’d like to discuss. There are three kinds of people who always post on Valentine’s Day. –Here’s some tough love for those #1’s out there, maybe you would find a “Valentine” if you spent a little less time complaining and a little more time being confident and enjoying life, cause a man that’s attracted to that is probably the kind of man you want in your life. 2. The cynical “anti-capitalism” person who protests celebrating any holiday believed to be contrived by candy companies. –Firstly, there’s these places called local companies that have still managed to survive (Euphoria Chocolate, Sweet Life Patisserie) and would be perfect for any Valentine’s treats. Instead of being all political about it online, just go support them. Secondly, companies take advantage of pretty much every holiday we have, and you happen to be using several major companies’ products just to be able to post that status, so if the entire basis of our economic system bothers you, maybe you should try and find a deserted island somewhere. 3. The show-off. This person feels the need to go on at length about how great (and apparently unoriginal) their boyfriend is. “I have THE BEST boyfriend in the world. Oh my god I can’t believe he surprised me with flowers, candy, AND he’s taking me to see The Vow tonight!! !” (Except she probably dropped not-so-subtle hints for the past month). –Nothing wrong with recognizing your boyfriend or significant other, but maybe it’s time to tone it down a little. There’s no need to take it to a bragging level. If Valentine’s is the only day you talk about them or feel loved, then something isn’t right. You’re just making #1 even more depressed! Lastly, thank you to the people who simply post about recognizing all the loved ones in your life! Even though today is a day full of cliches and cheesy gifts, it’s ultimately about love. The issue for most of us lies in what our definition of “love” really is. Modern culture seems to put so much emphasis on finding someone who loves you for who you are, someone who is caring, sensitive, fun, adventurous, successful–you fill in the blank. While those things are important, it’s only half of the story. Shouldn’t the focus also be on trying to become a person who cares for another and always loves them for who they are? It should be about finding someone you can be there for and support without the purpose of needing something in return, just because you love them and make a conscious choice to do so every day. Here are a few quotes from a super cheesy/still really good devotional we got as a wedding present. They are all in relation to marriage, but as the following quote says, marriage teaches us the basic nature of love in general, which I think can be applied to any of our relationships in life. So on Valentine’s Day, it’s not about what we need or want in someone else, or what we don’t have. Focus on how you can become someone who practices love, which means practicing honesty, respect, commitment, and forgiveness in every relationship. It’s been about four m onths since I started running, and I figured it was time for another update, in case anyone was curious how it’s going. 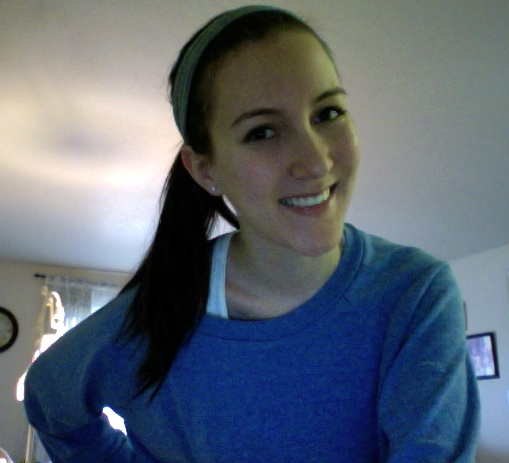 I still don’t go running as often as I wish I did, but there’s definitely been an improvement in my overall fitness. Now I can run at least a 1/2 mile without stopping or alternating with a fast walk, and overall I can keep running for a longer distance if I alternate running and walking. The key is to make sure I never completely stop, so I can learn to recover while still doing a fast walk. There are two key things I’ve learned about running with asthma. 1. Using my albuterol inhaler (1-2 puffs, depending on how I already feel that day) about 10-15 minutes before exercising. This makes so much more sense because before I would use my inhaler in the middle of the run when I got really wheezy, and I felt like it didn’t help as much. Doing it before prevents a lot of the wheezing before it happens during the run. 2. Don’t run outside if it’s colder than 40 degrees. In Oregon this is most of the wintertime, which is why I’ve ended up going to random step classes and doing the elliptical at the gym (which I can do without stopping for like 15 minutes straight with no wheezing, nbd) during the periods when it’s really cold or super rainy outside. The cold air makes my lungs feel a lot more stiff and limited, so sometimes I’m forced to sacrifice the scenery of running outside for the sweaty machine-filled ambiance of the local gym. Also I’ve heard about a Color Run that’s going on in different cities around the country this summer, and I think it would be a great run to start out with. It’s a 5k so not very long, and throughout the run you get sprayed with this colored powder stuff (it’s all natural and edible) and it looks super fun! Anyway that’s the update. I’d like to consider myself a relatively fashion-conscious person, but the past few years I feel like I haven’t embraced the trends as much as I used to. I’ve gotten lazy. But I’m a firm believer in the idea that you can never be too dressed up. I don’t mean it in a over-the-top sense. A good outfit does wonders for self-confidence, no matter how trivial the day’s happenings will be. It’s easy for me to just assume some of the bold trends won’t look good on someone who’s 4 foot 11. But this year, I’m going to make an effort. And maybe if I get a real job I’ll be able to afford it! Here’s to dreaming. 1. High-waisted shorts. Not denim, though. I’m not sure how I feel about that yet. I personally like more loose, flowing fabrics that have cute details, like a belt at the waist. This is also the only time I would consider wearing heels with shorts. Because they are more loose, it’s almost like a skirt and doesn’t look as casual as regular shorts. 2. Maxi dresses. These have been around for a few years if you haven’t noticed, and I think they are here to stay a little longer. I used to think they would only work for tall people, but as long as the style and proportions of the maxi dress are right, it can work for any height in my opinion. I should have realized this sooner. Tons of celebrities under 5′ 2″ wear maxi dresses; Nicole Richie, the Olsen twins, Hilary Duff. My pet peeve about maxi dresses in most stores is the ruffle seam/hem thing a lot of them have about 6 inches from the bottom. I just want a plain hem! 3. Pointy toe flats and platform wedges. 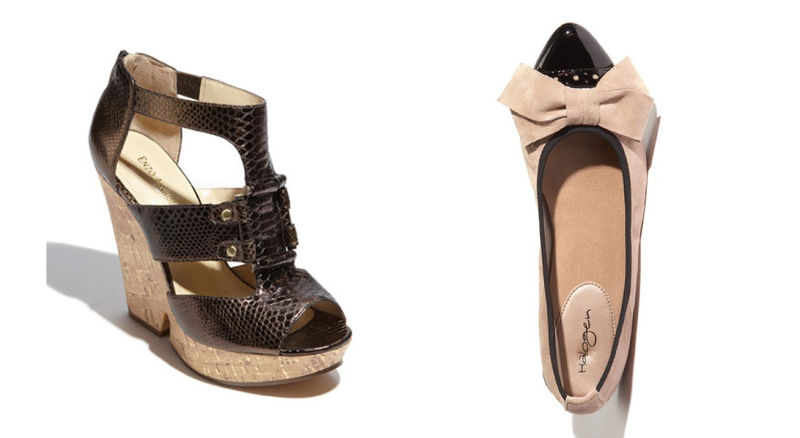 Both of these aren’t that crazy when it comes to shoes–I just really want some. I would say the lace-up cargo/mid-calf boot trend, but I’ve pretty much already embraced that. I was afraid it might not work with short legs but a good pair of skinny jeans to go with them did the trick. Pointy toe flats elongate the leg, and would look good with some fancy work trousers. Platform wedges or pumps could also look good with work pants, as well as many summer outfits. 4. V-neck & long sleeve dresses. The perfect answer for the never-ending spring season. Everyone knows summer doesn’t really arrive in Oregon until mid-July. Long sleeve dresses are perfect for the bipolar spring that lasts from March-end of June. I love a good v-neck. 5. Camel colored things. I also just really like to say the word camel. It reminds me of my mom because I’m pretty sure she hates this color. She’s obsessed with black. She used to hate grey, but she’s come around a little bit on that front. For a while I was unsure about wearing a lot of tan/camel colors because of my skin tone and that it might wash me out, but I’ve decided that my dark hair balances it out. 6. The one shoulder look. When this started to surface again in the last couple years I wasn’t sure how I felt about it. It seemed a little too soon, and it brought me back to several of the brightly-colored, rhinestone-encrusted one-shoulder Limited Too tops I wore circa 1998. Don’t pretend like you don’t know what I’m talking about. I’m not referring to more formal one shoulder dresses, I already love that look. Lately, there have been a lot more one shoulder casual tops and dresses that are very cute. That’s all for now I think. If you are wondering what fashion trends might be suitable for you, or if you’re unsure if you can pull something off, my best advice is to find a celebrity with a similar body type and see what they wear. My list of go-to petite celebs: Rachel Bilson (5′ 2″), Mary Kate & Ashley (5′ 1″), Hilary Duff (5′ 1″), Kourtney Kardashian (5′ 0″ even though she’s a lot curvier), and Nicole Richie (5′ 1″). Also fun fact, did you know Lady Gaga is only 5′ 1″? No wonder she always wears those shoes. Not sure I’ll be taking a page out of her book though. P.S. I want to add a little something about jewel-tone skinny jeans, brought to my attention by my lovely friend Sarah. I feel like I literally just got rid of my old rust-colored skinny jeans last year. But I guess that is a little different that brightly colored jewel tones. This is one of those trends that is definitely time sensitive in my opinion. That doesn’t mean I won’t partake, it just means I won’t shell out the same amount of money I would on designer denim in a classic style. Amanda Seyfried in red skinnies. Also another side note, I’m pretty excited about the upcoming release of a TOM’s ballet flat. Normally I would be skeptical of a brand branching out when makes one specific style the best. But these flats look basic, cute and comfortable, just like toms. I love avocado. Egg in a basket with avocado? Yes please. Avocado in my salad? Always. Avocado and pretty much any Mexican dish? Of course. 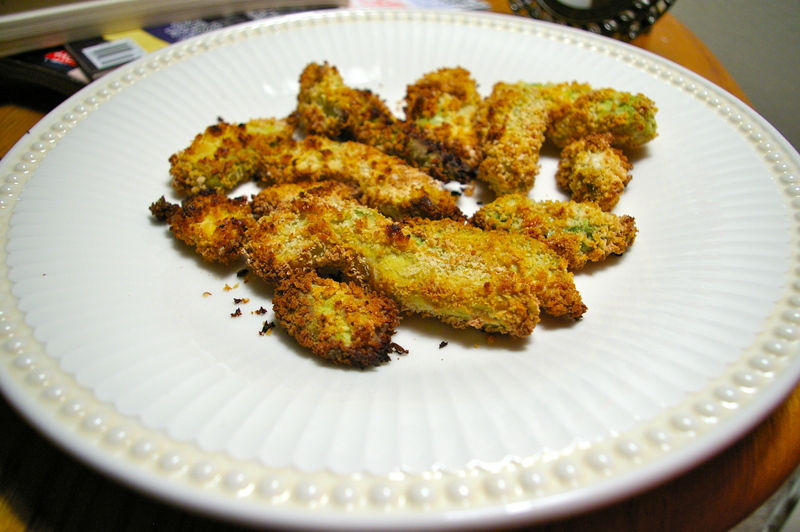 So when I saw a recipe online called “Avocado Fries,” I was intrigued. What else could I possibly do with this wonderful fruit that is so painstakingly perishable? When you only want to go to the store once a week, you’ve got to come up with some creative ways to use the same ingredient before it goes bad. I made some changes to the recipe I found online. It’s supposed to be healthier to bake them, and I also added the butter for more flavor. Preheat the oven to 425. Half the avocado and then cut around edges of the skin to loosen it. Once you have removed the skin, slice the avocado vertically and cut according to what size fries you want. Set out three small bowls, one each for the flour, egg, and bread crumbs. Melt the butter in a pan or in the microwave, and then mix with the egg. Prepare the cookie sheet with nonstick spray. 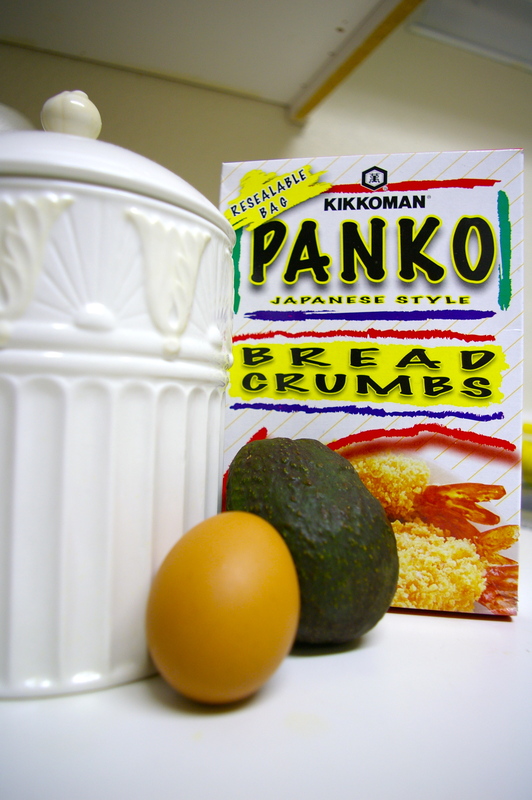 Take the avocado slice and roll it in the flour, the egg mixture, and then the bread crumbs. 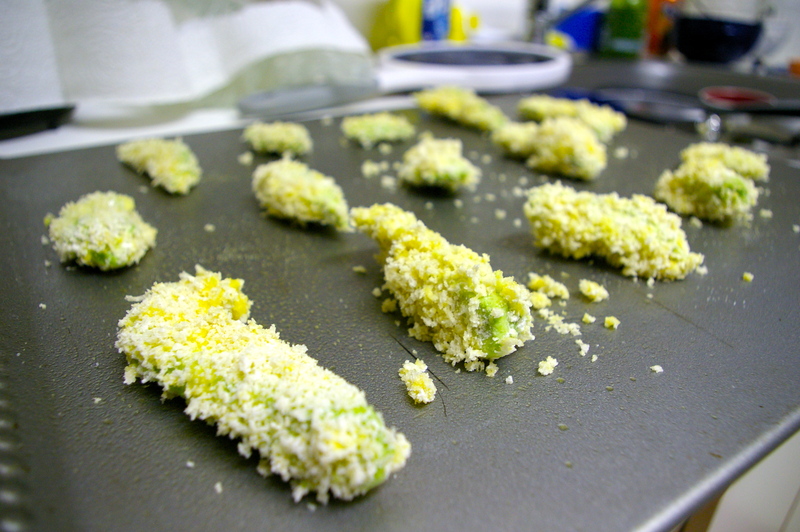 Set each slice down on the sheet, and once you have breaded all of them, sprinkle with olive oil and salt. Then bake them in the oven for 20 minutes. Once you take them out of the oven, give them time to cool. But not too much time, because they taste best very warm! Expect a crunchy salty outside, and enjoy the buttery avocado-y goodness on the inside. I have never set a New Year’s resolution before. If the start of a new year is the only thing motivating you to change something in your life, then it’s probably not going to last very long. The best way to set yourself up to succeed with a resolution is to be as specific as possible. Don’t just plan to eat healthier, be happier, or lose a certain number of pounds. Focus on the positive side of what you are doing and make your resolution the exact activity that is going to help you achieve your goal. Make your resolution to go on a run three times a week or cut out soda from your diet to be healthier. Like many people, my resolution is something that I’ve been meaning to start for a while now. But also like many writers, I need pressure. I won’t complete something unless there is a strict deadline, and I like to think that’s when I do my best work. So, here it is. My resolution is to write a book. Don’t worry, I have a plan. Normally I wouldn’t announce something like this, but I need the pressure of public knowledge to keep me going. The average novel is between 80,000 and 100,000 words. The lower end for a first book is usually better because it costs publishers less to print. That means I will have to write around 1,700 words per week to achieve that word count by the end of 2012. Who knows, it may not even take the whole year if I really get on a roll. You’re probably wondering what my book idea is. I don’t want to give too much away because I can already tell I’m one of those weird protective/secretive writers. I will tell you I’ve always dreamed of writing historical fiction, and it will be set in Victorian Scotland around the 1850s. The story is based on historical events and real people, with a dash of mystery and a smidge of romance. That’s all for now 🙂 Happy New Year!